For the best in high performance resilient flooring, you want Atlanta Luxury Vinyl Tile or LVT. Atlanta area homeowners and business owners know that luxury vinyl tile will fit in perfectly wherever it's used. Available in a myriad number of shades, patterns, and finishes, this flooring option serves as a durable and flexible alternative to tile manufactured with more expensive natural materials. 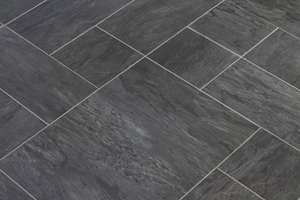 1st Quality Floors can install our luxury vinyl tile with precision giving you a flawless flooring option. Call our Atlanta Flooring Company to find out how affordable this elegant option is for your home. Luxury Vinyl Tile uses 3D printing techniques to add depth and realistic look of wood planks, ceramic, tile, hardwoods, and more. It can be grouted to resemble tile of ceramic or stone, and can be installed via glue down or floating installation options. It comes with a high performance wear layer that ensures durability. The great thing about this flooring type is that you can change it or replace it easier than other materials. If you decide to update your home or business interior within a decade, you'll be glad to have this option in flooring. Luxury Vinyl Tile is meant for changes down the line, and while it's in your home or business, you'll enjoy the value and luxuriousness of a more expensive floor without the high cost. You'll be astounded at what LVT can look like and what functions it can serve. From a look that emulates luxurious fabrics to high polished urethane granite-like finish, to commercial grade shock absorption and attached cushion for gym flooring, to the warm plank hardwood for cozy warmth, to the antimicrobial bio-resistant flooring for healthcare environments, you're sure to find what you're looking for in LVT. You can even find LVT that's inspired by the look of vintage leather or stained concrete. And no matter the choices you make, you'll have full services available to you at 1st Quality Floors. You can count on our company to be around a long time, so when you need repairs or replacement or any other flooring service on down the line, we'll be there for you. Our fifteen years of serving the Atlanta area with options like LVT flooring mean we've helped a lot of families and businesses in the are with their flooring needs. Choosing the right flooring isn't always easy, especially when there are so many materials, colors, and styles to choose from. At 1st-quality-floors, you'll get nothing but the best in service and in quality workmanship. Whether you're looking for the most durable in flooring or the most luxurious, the LVT flooring is a top choice for your home or business. If you are looking for Luxury Vinyl Tile in Atlanta then please call 678-615-7799 or complete our online request form.